According to certain studies our dogs keep us in good health. And it’s reportedly true for several reasons. Of course, there is always the benefit that dogs (But also cats and other domesticated creatures) have on our mental well-being. We care for these creatures and they care for us. And the emotional benefits to these types of relationships are numerous. Think how you feel at the end of a long, hard day’s work. Now think of your dog who’s at home, happy, and ready to greet you at the door the moment he or she hears the key in the lock. In most cases, whatever stresses you brought home from work are instantly left behind at the door. It’s even proven that the emotional benefits of a dog could help lessen the chances a person has difficulty with depression; it could even help a person to become more social with others. There are other benefits that are physical. 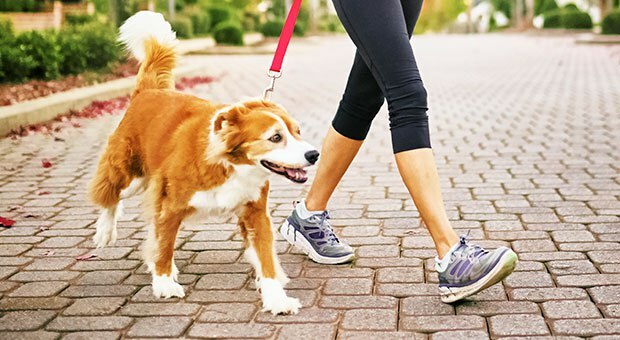 Physical activity is a requirement of owing a dog. The daily walks, the at-home play, etc. are all quality ways to spend time. In certain cases, the activity has helped people overcome certain health-related diseases. According to studies, god owners have a lower risk of heart disease. Studies have even shown that the physical activity can reduce a person’s risk for premature death by up to a third. Remember to take your dog for walks. Remember that any socialization and experiences he or she may have in the outside world will only make him or her a more confident and less destructive friend. And remember that physical activity is just as important for him as it is for you. Physical activity will help him or her live longer, and it should lessen the chances that he or she develops an illness. Diabetes and other chronic diseases can plaque a dog, even prematurely, in old age. Most importantly have fun, and enjoy the time you get to spend with your pet. The benefits will be numerous and reciprocal.